Home / NEWS / Jumia becomes first African Start up on New York Stock Exchange! 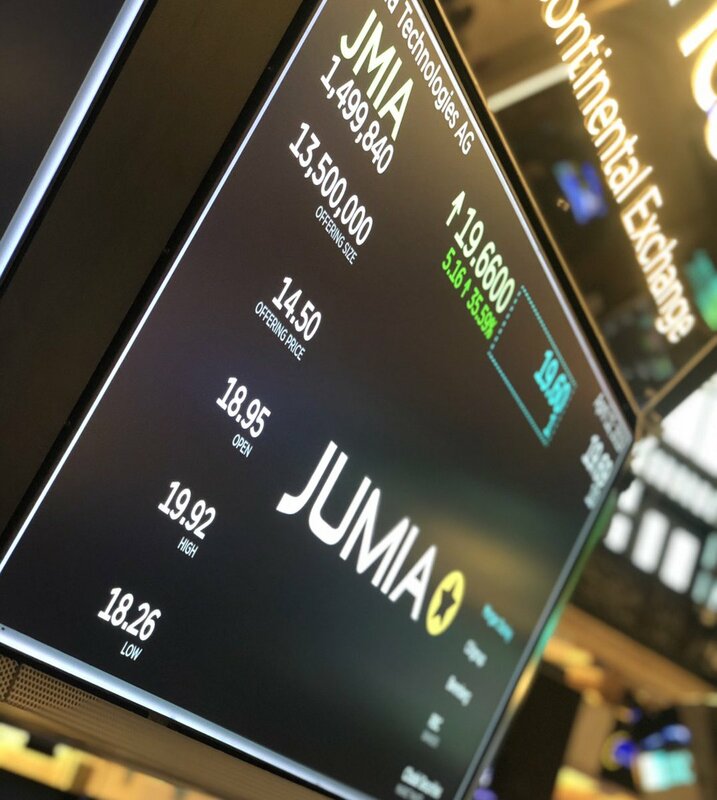 It’s now official; Jumia is the first African startup to list on the New York Stock Exchange. 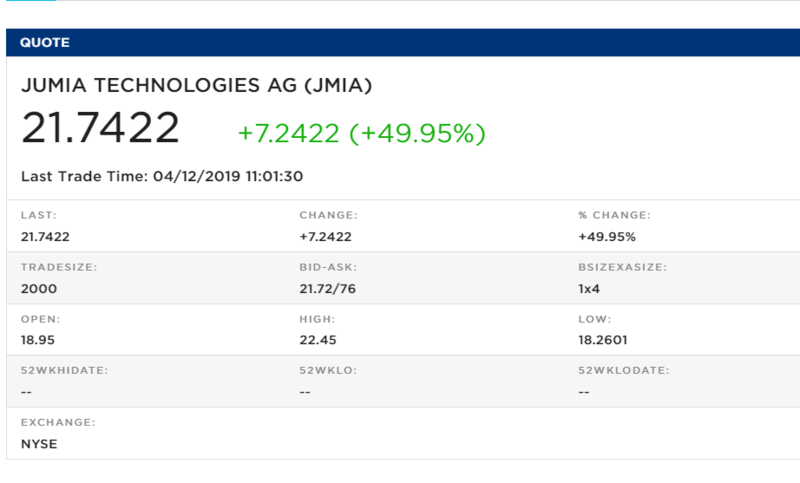 Jumia debuted the stock exchange today trading at $14.50 per share under the ticker symbol JMIA. The move completes what is perhaps the most important IPO for the African startup scene. News about the IPO hit news circles last year. At the time Rocket Internet, Jumia’s second biggest shareholder before the IPO, was reportedly looking to list the startup on either the London or the Frankfurt Stock Exchange. The German venture firm had already successfully listed three startups on the stock market and had plans to do the same with Jumia. It aimed to raise $245.7 million from the Jumia listing according to reports at the time. However, the news remained unconfirmed until reports began to emerge that Jumia had plans for a New York Stock Exchange listing. According to Jumia’s IPO filling with the US’ SEC, the ecommerce startup wanted to list 13.5 million shares on the bourse. And its share price was expected to sell at anywhere between $13 and $16. But with its successful stock listing today, Jumia has secured its place as an African startup icon. With its shares selling for $14.5 the company has raised an impressive $195.8 million. Its unicorn status is also now no longer in doubt. At the time of writing this report however, Jumia’s share price was trading at above $20. It soared as high as $22.45 by 4:16pm today. It’s a huge win for the company, especially when you consider that it has never made a profit. However its gross merchandise value is growing and is on track to cross $1 billion. This shows that there’s plenty of growth potentials for the company. But for now it’s burning cash. Next: EFCC Investigates Cryptocurrency Platform over Fraud Allegations!